The massive George Washington Masonic National Memorial was built to honor the late President George Washington, which is now recognized as a National Historic Landmark. It is composed of a museum, a library, a concert hall, a community center, and a research center. It features numerous artworks and artifacts, and the most noted one is the 17-feet tall statue of George Washington which is undeniably enormous. You can find the statue at the very entrance. The Memorial was constructed by freemasons in 20th century inspired by the ancient Egyptian Alexandria lighthouse, which is one of the Seven Wonders of the Ancient World. George Washington Masonic National Memorial was actually recognized and named as a National Historic Landmark by the National Park Service in 2015. When can you visit the Memorial? You can visit the memorial from 9:00AM to 5:00PM, weekdays. You can check their official website to know current schedules. There’s a guided tour you can avail for one hour. Want something to commemorate your visit? You can find a gift shop at the Memorial. They sell apparel, art stuff, books, emblems, jewelry and gifts. Also, by making a purchase at the shop, you are already helping the association that operates the place in keeping the collections and facilities in great condition. Rent a facility at The George Washington Masonic National Memorial! The hall is mostly utilized for big events such as weddings and corporate gatherings. This may be because of the massive columns made of polished granite. You can also use rectangular tables and upholstered chairs. The theater is highly recommended for formal functions such as graduations, drama and other stage performances, seminars, and presentations. It also features other amenities including a piano, pipe organ, lighting system, and motorized projection screen. If you want a more unique and lively space, you can choose the Memorial Hall. It is where you can find the gigantic 17-foot bronze statue of George Washington. You can use the rectangular tables and wooden chairs. Another ideal venue for weddings, graduations, seminars, and other memorable celebrations is The North Lodge Room. Space integrates medieval architectural elegance with red velour curtains on the stage and balcony on its three sides. Other accessible amenities include a piano, organ, lighting system, and motorized projection screen. This room is a versatile one that can cater to different types of events with its carpeted floors. You can use the round and 9-foot rectangular tables, and wooden chairs. Looking for a smaller venue for a mini event or meeting? Then The Andrew Jackson Room is available for you and your group. It features an arched ceiling and carpeted floor. 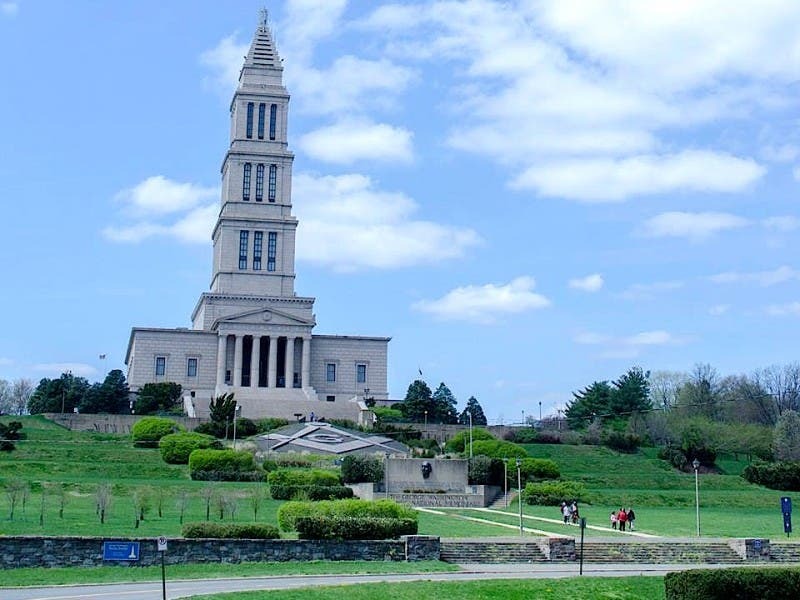 Thus, make certain that you include the George Washington Masonic National Memorial in your list of places to set foot in Alexandria.